It’s too hot to cook. Well maybe…..
Something chilled for dinner, so make it now and serve it later. Place raspberries and 1/4 cup water in blender; puree until smooth. In large saucepan combine pureed fruit, remaining 1 1/4 cups water, cranberry juice cocktail, sugar, cinnamon stick and cloves. Cook over medium heat until mixture begins to boil; remove from heat. Cool. Strain soup onto large bowl. Add lemon juice and yogurt; whisk until well blended. Cover; refrigerate until cold. Pour into individual serving dishes. Top each with sour cream; sprinkle with cinnamon. This recipe is a very old Pillsbury recipe. You can cut back on the sugar if you don’t want it to sweet, and if you are wanting it a little lighter, leave out the sour cream. I did find a new recipe from Pillsbury to go along with this soup. 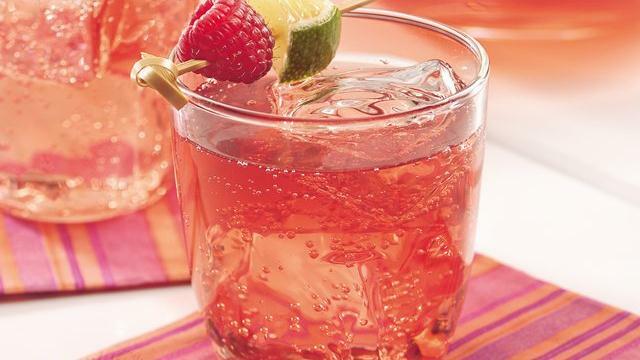 1 In large pitcher, mix tea, juice and sparking water. 2 Serve tea over ice. Garnish with raspberries and mint leaves. Squash Soup….nice in the winter. This was a discussion in the making. My teacher asked about a good squash recipe. Well I said usually I put things like all spice and cinnamon and heavy cream in mine. So I polled some friends and and we agreed on some basic things. About 6 cups of squash which could be acorn or butternut. The squash itself should be either cut in half’s and cooked faced down or up with butter some spices and maybe some brown sugar (without the seeds). About 400 degrees for about 30 mins or so. Now either a chicken or vegetable stock about 3 to 6 cups, how think do you like it. Also the other reason is you might want to add water or a nice white wine. Remember when you add the squash puree it first. Here is where we came up with some many ideas on what to add to it after that. For spices the list included salt, pepper, allspice, dill, sage, bay leaf, thyme, basil, garlic, cayenne pepper, ginger, nutmeg and cinnamon. Think of what you like to taste, be creative, use what you like. Next other items to add, we all agreed that we hadn’t had great luck with normal potatoes, but sweet potatoes were a plus, other things you might use. Celery, Fennel, Carrots, Apples could be Granny Smith, Gala, Fuji, Onions could be yellow or white caramelized or lightly brown. 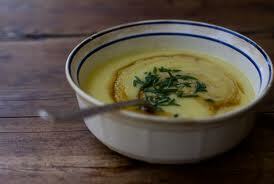 Honey or cream even Mascarpone cheese or Gruyere, even Swiss is a nice accent to the soup. Don’t forget croutons, favored or not. Make it your way, see what you can come up with and let us know.